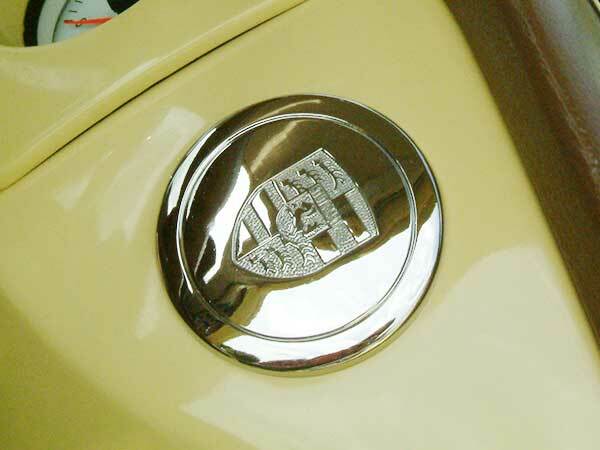 Petal has a 70s Porche theme featuring re-covered 911 seats and replica wheels. 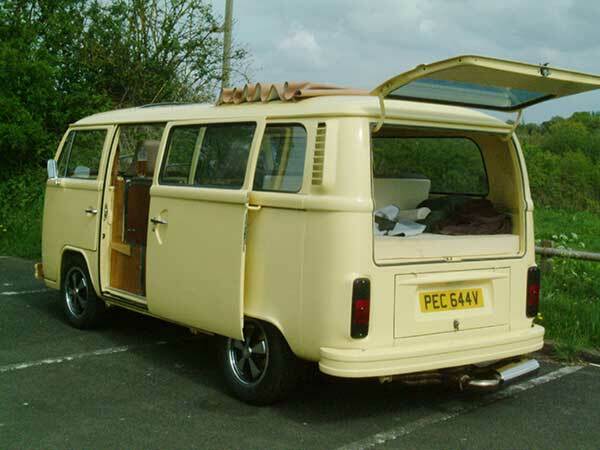 We have used the best parts available to put Petal together – you can tell as soon as you hit the start button she is no ordinary camper van. 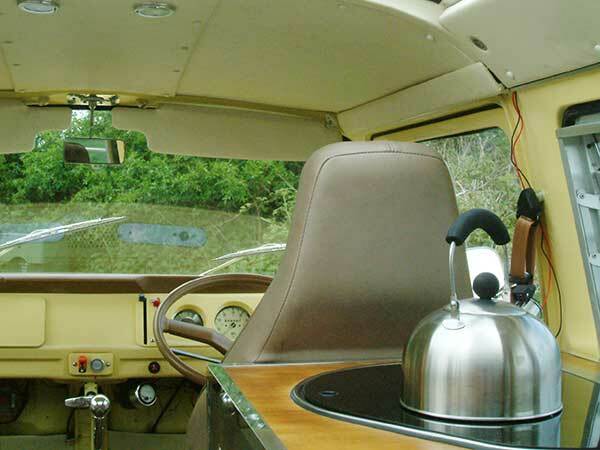 The inside is as retro as possible with hidden TV/DVD and Alpine stereo, plus all luxury camping needs catered for. This includes a king-size bed, large fridge-freezer, sink, single burner hob, blown-air heating and electric hook-up all built in. In short, this bus will put a big smile on anybody's face. It's a great driving experience – the adventure begins as soon as you hit the start button and the motor roars into life. So here we are, something a bit different – VW camping with custom styling to make your holiday unique.